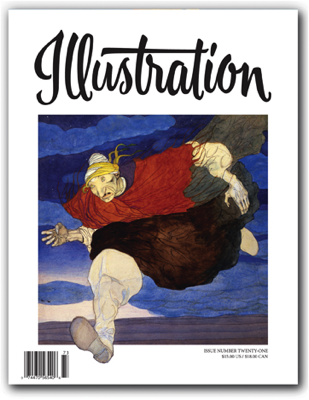 In this issue: The work of beloved children’s book illustrator Gustaf Tenggren, perhaps known for his work on Disney’s Sleeping Beauty and other films; the work of influential women’s magazine illustrator Al Parker; the continuation of the Charles E. Cooper series with the work of magazine and advertising illustrator Barbara Bradley; book reviews, exhibitions and events, and much more! 112 pages in full color. $15.00 U.S.